Round neck jumper by FTC CASHMERE with 7/8-­length sleeves. 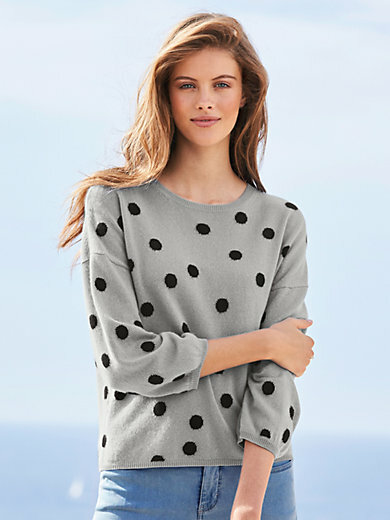 Fashionable luxury knitwear in boxy style with drop shoulder and elaborately knitted-in polka dots. This special yarn combines the fluffy soft feel and temperature-regulating properties of cashmere with the nourishing and soothing properties of SeaCell™, a fibre derived from brown algae (Ascophyllum nodosum). Consists of 50% cashmere, 50% SeaCell™. Length approx. 23ins. The round neck jumper should be washed by hand.